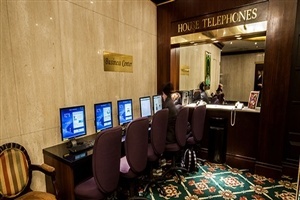 A hotel in the true New York tradition, with a winning combination of comfortable rooms and a superb location on 7th Avenue, close to Times Square, Central Park and the Empire State Building. With customer experience and enjoyment at the heart of the Wellington Hotel values, you'll find a truly luxurious stay that makes you feel at home in the heart of the city. For a New York city break inspired by history and tradition, choose the Wellington Hotel. 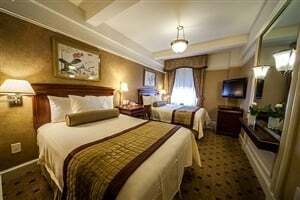 The comfortable, traditional guest rooms at the Wellington Hotel in New York City's 7th Avenue are ideally located for Central Park and Times Square. If you’re looking for a base in New York that’s close to all of the main attractions, the Wellington is a good choice – and the hotel’s rooms are fantastic to relax in after a long day’s exploring! All rooms offer wireless internet, cable TV, air-conditioning facilities, hair dryer, iron and a clock radio – meaning all you need to bring is your suitcase! One bedroom suites even offer a kitchenette – perfect for making a cup of tea in the morning! Rooms offered include a two person Twin or Double, perfectly suited for a short break – with larger Queen and King Rooms also available for those looking for a little more space. 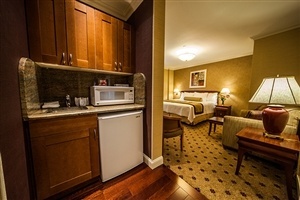 One bedroom suites are also available – with a separate living area and a kitchenette, this is ideal for a longer stay. Traditional decor creates an indulgent space in which to relax after exploring The Big Apple. An array of deluxe amenities come as standard. Boasting a generous amount of space, this Deluxe Room offers classic interiors accompanied by plush furnishings and a selection of luxury amenities. 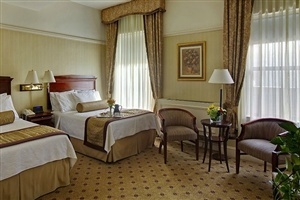 Elegant decor meets contemporary amentities in this spacious suite to ensure your stay is comfortable and restful. Find a separate living room and kitchen appliances to cater to your every need. 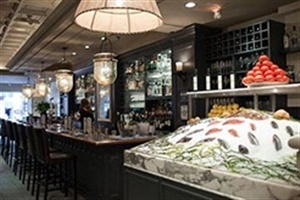 Eating in New York is always a pleasure – and being in such a central location means that guests of the Wellington have a number of options when it comes to eating out. 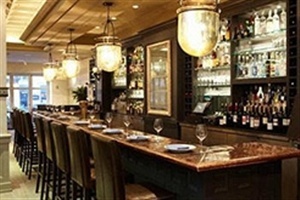 From the all-American steakhouses to international cuisine, you’ll find a huge amount of restaurant choice in NYC. 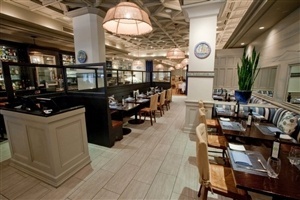 When hunger strikes and you’re not sure where to go, the Wellington offers Mediterranean cuisine at Molyvos. The hotel's in-house restaurant, Molyvos Greek Restaurant is open daily, serving award-winning cuisine. With a range of traditional Greek dishes on offer from noon each day - this is a great place to grab lunch or dinner. 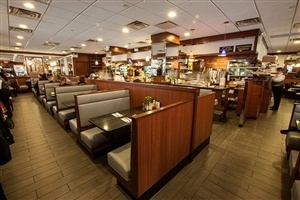 The hotel also offers Park Café, a neighbourhood favourite serving casual meals for breakfast, lunch, dinner and offering after-theatre snacks. New York is unquestionably the most exciting city in the world and no place puts visitors in closer proximity to everything there is to see than the Wellington Hotel. When the sun goes down and the lights come up on New York's celebrated theatre district, you'll be in the heart of it all. 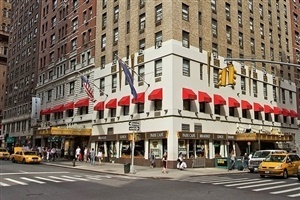 The Wellington Hotel offers travellers everything they could need for a trip to New York – whether you’re a first time visitor or a ‘Big Apple’ regular, you’ll find this hotel is comfortable, central and packed full of amenities. A vast array of leisure options are located nearby, including spa and fitness facilities. 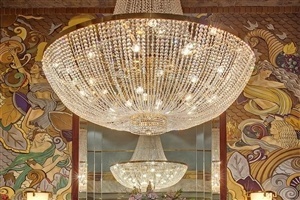 At New York's Wellington Hotel, all the excitement of New York will be in the palm of your hand. Manhattan is known for street fairs and parades, many of which are just steps from the hotel. Check-in at the Wellington is easy, as the reception is open 24 hours a day – meaning that late flights, late nights or even early morning explorations of Central Park are easily facilitated by the welcoming staff. 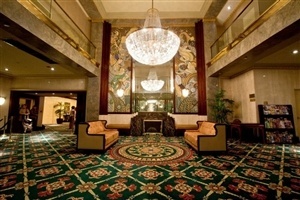 The hotel offers guests a hotel safe for valuable goods, as well as a cloakroom and lift services to all floors. The hotel also offers a coffee shop where you can grab your first latte of the day, or a quick coffee after dinner – as well as a restaurant with authentic Mediterranean cuisine. 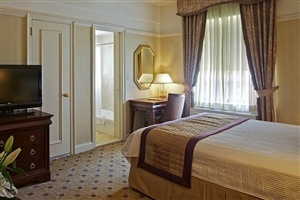 The hotel also offers a hair salon – perfect for a pre-theatre hair-do, laundry service, a car park and room service! 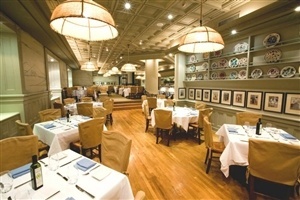 The Wellington’s true value is in its central location - Broadway. A plethora of New York shops and iconic sights such as Times Square are all within walking distance – and the hotel is well connected to the New York subway. 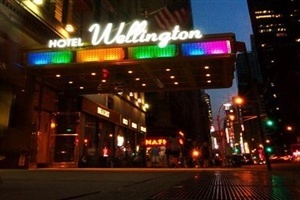 If you’re looking for a Manhattan base for your New York stay the Wellington offers a true NYC experience! 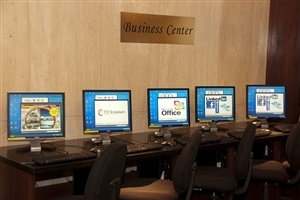 The hotel has a business centre where you can use the internet via a hotel computer – perfect for checking emails whilst you’re away! Check-in is at 3pm, check-out at midday – and the hotel is happy to store your luggage prior to check-in or after you’ve checked out. There’s a theatre, sightseeing and transportation desk in the reception – check here for tickets to shows, events or attractions!